The KSM Foundations patented ramp system allows for precise adjustments and maximizes the transfer of string-to-body vibrations. This improved string-to-body contact gives the instrument exceptional brightness and clarity. Maximizes the transfer of string-to-body vibrations. Fully adjustable for each individual player. Patented locking system locks all moving components. Built for either String-Through Body or Top Load basses. 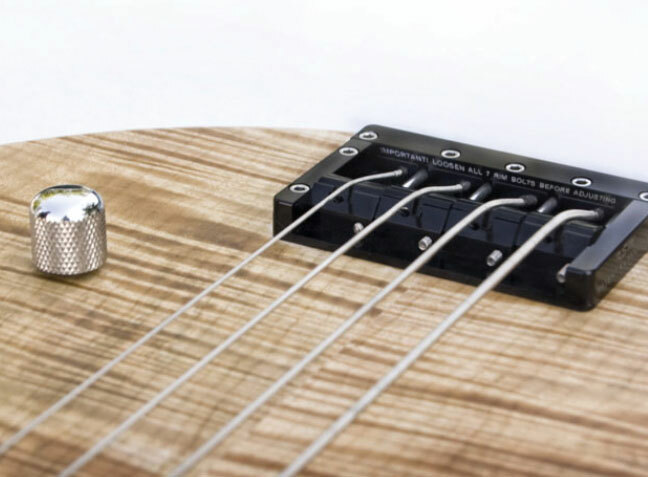 4-String and 5-String bridges available in black, nickel or nickel with black, gold or nickel bolts. And, the 4 string is available slotted or unslotted with 2 different hole patterns.